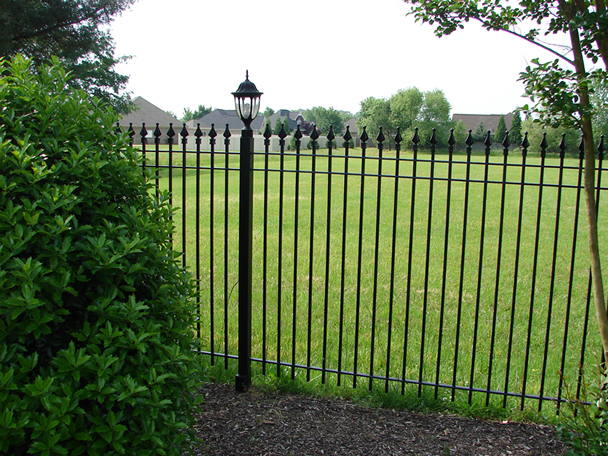 Iron fences add an element of beauty to any lawn. 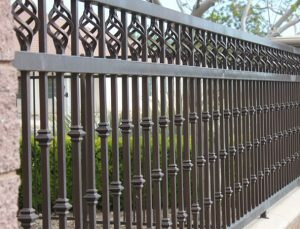 We build our iron fences from design ideas that you provide us, or we can recommend a suitable artistic look for your application. Either way you will get a beautiful fence that will last for many, many years. Sometimes homeowners/business owners want higher security. So, we build some of our iron fences with thicker steel tubing/bracing for a more rigid construction. Better views demand a more open and simple framework. Here the fence is simple yet made to handle variations in surface grade. 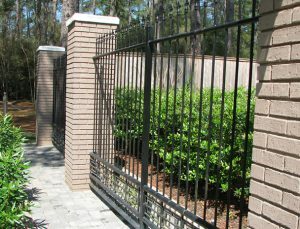 Iron fences are at times installed between masonry pillars. 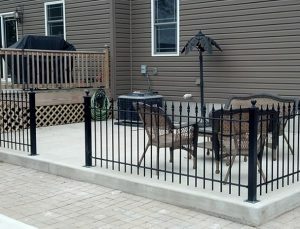 We build the fence and the anchor system that will be attached to the masonry. All we need are the finished dimensions of the pillars and we will do the rest. When our iron fence will be installed in a free-standing manor, we create the anchor system that will allow it to remain for years on uninterrupted service. 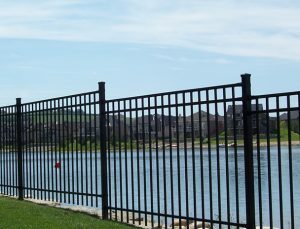 We can anchor our iron fences into cement, wood, and other surfaces. "We build and install fabric and aluminum awnings using step-down and standing seams. We build patio covers and carports. We are proud to feature Sunbrella fabric." Copyright 2017 Etheredge Awning & Iron Works | Business Website by MyDataWorks.net.